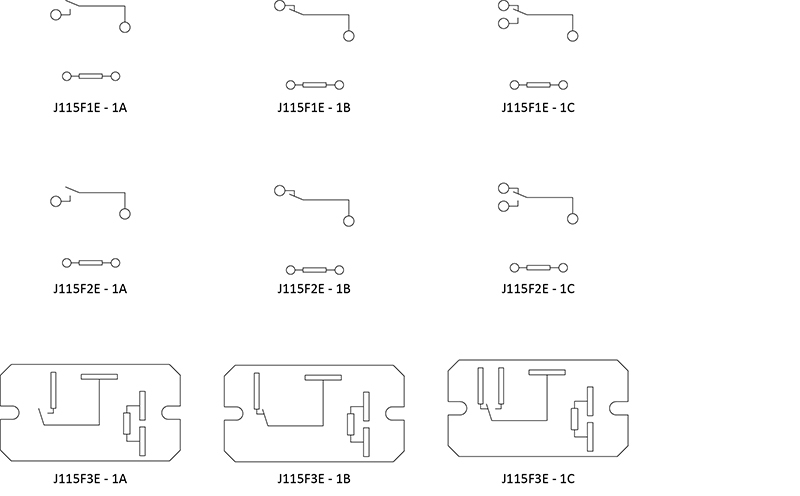 The J115F_E Series relays are economical, with switching capacity up to 30A. Offering heavy contact load and strong shock and vibration resistance in a light-weight and small size package, these small 30a relays offer 1A, 1B or 1C contact arrangement with coil voltage ranging from 5VDC up to 110VDC with coil power options of .60W or .90W. Dimensions depend upon the style option chosen, including PC pin, low profile, mounting tab versions and with or without dust cover. Relay is TUV and UL E197852 certified.